Playing tennis is a lot of fun, and millions of people all over the world use it as a way to pass the time and get their exercise. Outside of that, tennis is also a professional sport that’s watched globally. If you’re just starting out, choosing a tennis racket to play with could be intimidating given the number of options on the market. We’ve selected some great rackets and compared them against one another to help make your decision easier. Which racket reigns supreme? Keep reading to find out. What are Tennis Rackets Made of? 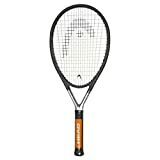 What Tennis Racket Should I Buy? What Rackets do the Pros Use? 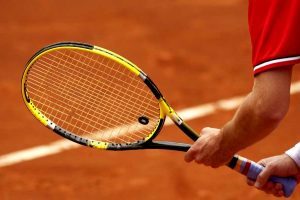 How to Choose Tennis Racket Size? How to Hold a Tennis Racket? 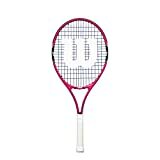 Marvel Junior Spider-Man Tennis Racquet, Red/White/Blue, 23"
Every tennis player has to start off somewhere, and the Wilson Junior Burn Pink racket is an excellent choice for junior emerging players who have an interest in the sport, or who need it for their physical education. The brand name Wilson is trusted all over the world, and your young tennis player could be beating you on the court in no time with the help of this racket. The moment you look at the racket, the first thing that catches your eye is the bright pink color, which stands out from a distance. 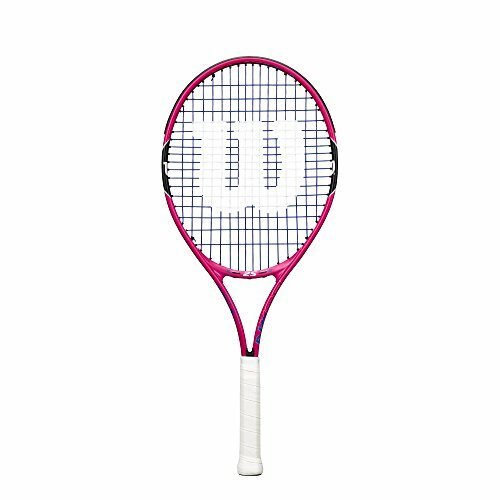 High consumer reviews and an affordable price tag help to make the Wilson racket an excellent choice for younger players, and the lightweight frame creates swift playing that doesn’t strain young muscles. A larger sweet spot and oversized tennis head helps with control to help junior players advance their skills. Above all else, my favorite aspect of this tennis racket is the color. It’s playful, bright and it draws attention. Additionally, its’ versatility and range of sizes is convenient for young players to grow into, and it works great with foam teaching balls or standard tennis balls. The lightweight but durable build is also another great reason to invest in the nicely priced racket. As junior tennis rackets go, the Wilson racket is a great option for beginners, but it does have its downfalls. It does come with a cover, but it is black and poorly made in comparison to the racket. It would have been nice if it were pink to match the aesthetic of the racket. Another flaw that we noticed is the tape around the handle quickly came loose. 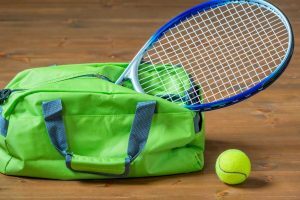 Purchasing the right equipment for your child is going to help them build up the skills they need to play a lot of tennis. Sometimes, kids don’t want to play a sport with something that looks like every other piece of equipment; they want something special – something for a kid. Tennis Rackets for Kids by Street Tennis Club offers fun for your kid, so they want to play with what they think is the greatest tennis racket around. 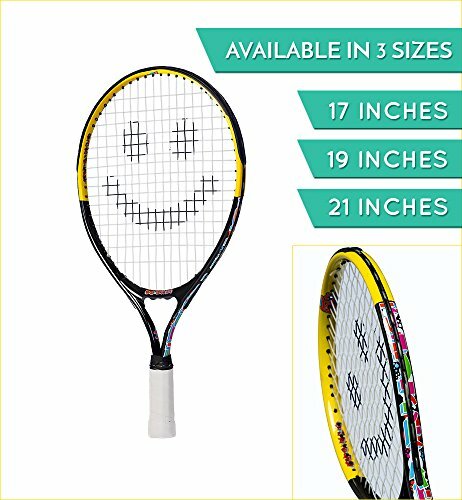 Not only do these rackets come in positive, fun, and bright colors, but they are highly rated by consumers who have purchased them and come at an affordable price. These rackets help develop your kid’s tennis skills, and the three different sizes make it perfect for a range of ages. 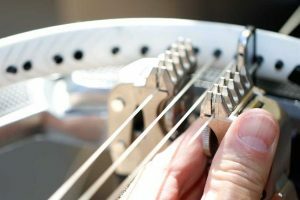 It’s made from high-end aluminum that gives it a sturdy build, comes pre-strung, and is designed with weight and structure that helps precision, control, stroke, and techniques. As a bonus, the rackets come with a free game to enjoy. There isn’t much to dislike about this racket. The colors draw you in, the reviews are great, and the price is incredible. The aluminum material makes it durable but lightweight, which is another benefit and the free game, just gives you more for your money. Also, it’s a great way to get the kids outside for some exercise and fresh air. It also has high-quality strings, which are a nice selling point because kids can be rough with their toys. After spending some time using the racket, it did chip quicker than some of the other junior rackets, which isn’t a huge drawback and is to be expected. Other things I didn’t like were the grips, as they seemed to fall off faster than other rackets used in the past. It’s possible to develop a strong love for tennis at a young age, and when that happens, it’s only natural that you want to work with a reliable tennis racket that you can grow with. The HEAD Ti series is popular amongst the tennis players’ communities, and you might have even used one yourself. What you might not know, is that you can also get your children to start working on their tennis skills with the junior size. Let’s take a look at some features. One of the most exceptional features of the Ti S6 tennis racket is the fact that it comes in so many sizes to accommodate a range of ages and skillsets. Starting out at 19 inches stretching up to adult size, many people get good use out of the racket. When purchasing, you can choose from five different grip sizes, and the size is 115 square inches. Additionally, the racket comes pre-strung, is extra-long in length, and has high customer reviews that prove the racket is more than just a good name. The head size of the racquet is 115 square inches and is 1" head heavy. This racquet will be shipped Unstrung. The way that the racket was designed makes it lightweight, which means it’s a breeze to move around effortlessly while keeping control of the racket and volleying with ease. The pre-strung strings have a good amount of tension to make for stable shots and fast returns, and the sweet spot covers the majority of the head of the racket. Also, it’s nice to have an option with grip sizes as well as head size. For a beginner racket, I find it to be priced quite high. I think it would have been a good option to lower the price depending on the size of racket that was getting purchased. 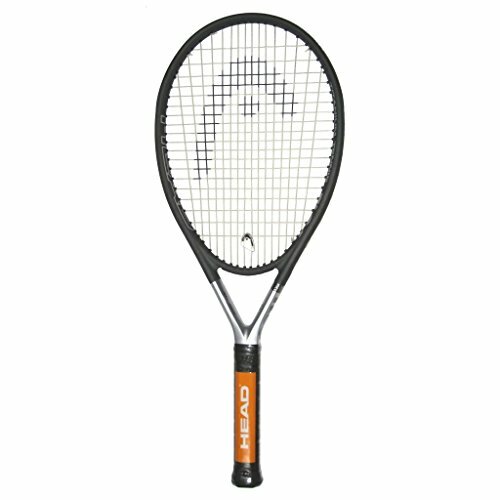 The HEAD Ti S6 racket doesn’t come with a cover either, and anything above a 3.5 game seems to require more control. The brand has a fantastic reputation, but the shock absorption in the grip doesn’t do much for fast coming balls and goes straight to the wrist. One of the most well-known and respected brands of tennis rackets are of the Babolat brand. Babolat redefined tennis rackets when they used lab studies to analyze where tennis balls make contact with the rackets to help with the sweet spot. Let’s take a look at some of the hard-hitting evidence that makes this racket so sought after and compare it with the other models to find out what sets it apart from the rest. The upgraded version of the Babolat Pure Drive is a racket that’s meant for a dominant player. Beginners can use it too, but if you need balance, power, and a great ball launch, this is your best bet. Frame String Technology is used to identify the impact zone from the ball, and the racket was developed with a tighter string pattern in the sweet spot for better consistency. Also, the Elliptic geometric shape of the frame creates added resistance for even the strongest, most rigorous players. Babolat also shows the Cortex Dampening System which takes hand-racket-ball technology to another level and makes for a better hit. The newly updated Babolat Pure Drive is used by Fabio Fognini and Garbine Muguruza and has even more power than before. There is a reason that Babolat is one of the leading tennis rackets in the world and it’s because of rackets like this. The great weight provides power that beginners and intermediate players might not have, though that might not work for all people. The state of the art design technology was a major selling point for me because of the logistics and research behind it. Also, the Babolat Pure Drive racket design helped to master the perfect spin; and there’s nothing wrong with that. One thing that I noticed when testing out the Babolat Pure Drive is that a dampener is needed to absorb some of the sounds, otherwise, it’s loud when hitting the ball. It does take some getting used to when you haven’t played with many Babolat rackets, and while the reviews are good, the price point is higher than other promising rackets. Kids everywhere love superheroes. What better way to get your kid to play some tennis than to give them a tennis racket that looks just like Spider-Man? One of the most fun, junior tennis rackets on the market is the Marvel Junior Spider-Man Tennis Racket, and we compared it against all of the others in our final comparison on our best tennis rackets list. Let’s see how it did. The Marvel Junior Spider-Man Tennis Racket is an excellent choice for young kids just starting off with their tennis playing. It comes in four different head sizes and is constructed out of a beginner’s quality aluminum that makes for lightweight playing. Additionally, the racket has a vibration dampener that helps with less ping, and the Spider-Man logos included on the strings and racket. The racket has great customer reviews, is fun to look at, and the price point is perfect for a starting racket. The Spider-Man eyes embossed on the strings brings it to life in ways that other rackets can’t, and the vibration absorber is a great addition. The racket is definitely worth the money spent on it. All in all, this is one of the best rackets for children just starting out or going through tennis training. Unfortunately, the racket doesn’t come with a protective cover. It just has a plastic sleeve that comes when you first purchase it. I also noticed that the grip does loosen and it needed to get re-taped after a few uses. The vibrant colors of the racket, which makes it pleasant to look at, means that you have to be careful because the paint does chip easily. That becomes more of an issue with no protective covering, so it’s recommended that you buy one separately. 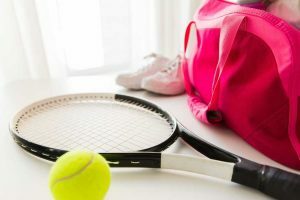 Understanding the logistics of purchasing a proper tennis racket can be challenging, but you can use this buyer’s guide to help you along your way. 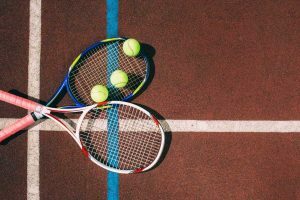 Unless you are an intermediate or professional tennis player, there’s a good chance that you won’t understand the terminology that gets applied to tennis rackets, and that’s where we come in. Keep reading to find out everything you need to know about buying yourself a racket. When you’re looking at a tennis racket, the head size references that actual hitting area (or stringed area) within the racket’s frame. Typically, a midsize racket is between 80-95 square inches, whereas a mid-plus sized racket is between 95-105 square inches. The larger the head size, the bigger the sweet spot which is the area on your racket that gives the most power and most substantial response. Beginners are recommended to get oversized or super oversized rackets because they are easier to play with and are forgiving, though intermediate and professional players who have tuned their skills over time and developed power and precision usually stick with midsize or mid-plus. There are many ways that you can figure out what grip size is best for you, but if you hold a racket in your forehand and you’re able to slip a finger between the end of your fingers and your palm, you’ve got a good grip. The majority of men look for grips that are three or four, and grip five is for people with large hands. The majority of women grip a two or a three. If you still aren’t sure, you can measure your hand with a measuring ruler or go to a sporting goods store to get the assistance of an associate. There are many tennis rackets on the market and many materials that make up the frame. Professionals recommended purchasing a racket that’s made of a combination of graphite and titanium. They support it because the combination gives a good weight that isn’t too heavy, and makes for an incredibly durable frame. Beginners often get great use out of rackets that don’t easily break. The weight and balance are two of the most important characteristics when choosing your tennis racket. Heavier rackets provide more stability, are powerful, and absorb more shock, while lightweight rackets make it easier to move. Most professional players choose heavier rackets for more power because they’ve finely tuned their control skills. Lighter rackets typically get recommended to beginners and intermediate players who need time to build up the upper body strength to control a heavier racket. However, one isn’t better than the other. The choice is ultimately up to the player and their personal preferences. Choosing a tennis racket brand might be the most challenging part of your purchase because there are so many to choose from. Most sporting goods stores only carry a select few, which makes it easier to narrow down some of the finer brands while department stores have a more extensive variety. The only way that you’re going to know which brand you prefer best is to test it out. 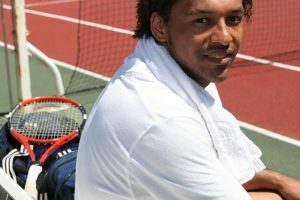 Here are some of the top brands that professional and intermediate tennis players recommend: HEAD, Babolat, Wilson, Prince, Pro Kennex, Volkl, Asics, Donnay, Dunlop, Gamma, Pacific, and Yonex. You’re sure to find your best tennis racket from one of these lines. There are a few different materials that make up tennis rackets, it just depends on the one that you’re looking at. Some of the most commonly used materials to make a tennis racket are aluminum, titanium, and graphite. Your tennis skillset is going to determine the type of racket that you should look for. If you’re a beginner, it’s recommended that you look for something that’s lightweight with a large sweet spot so you can build up your strength, train, and tune your skills. 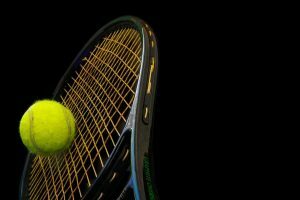 If you’re an intermediate, professional, or play tennis more frequently, you could look into a racket that’s heavier and more finely geared towards precision. The more you play tennis, the stronger you are, and the more you should focus on control and precision. 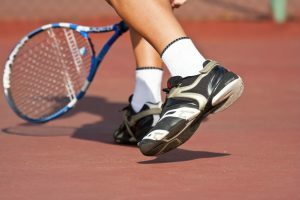 Professional tennis players use a wide range of rackets and sometimes use a different racket for training and tournament. While there are many brands, you commonly see professionals playing with Babolat, Wilson, Pro Kennex, and Dunlop. Those brands offer rackets that are designed for professional use and constructed with string technology that can absorb the force behind a powerful hit from a professional tennis player. If you are just starting to play tennis, it’s suggested that you choose a racket with a larger head size because it’s more forgiving and has a larger sweet spot, though more advanced players can go with a smaller size that helps them with their precision because of the smaller stringed area. If you are training, learning control, building strength, and learning the game, choose a larger head. If you are an intermediate player who wants to finely tune their skills, go with a smaller head size. YouTube is overloaded with tutorials on the many types of grip that get used when playing tennis. Let’s start you off with the fundamentals of holding a racket and the most commonly used grip in tennis known as the Continental grip. 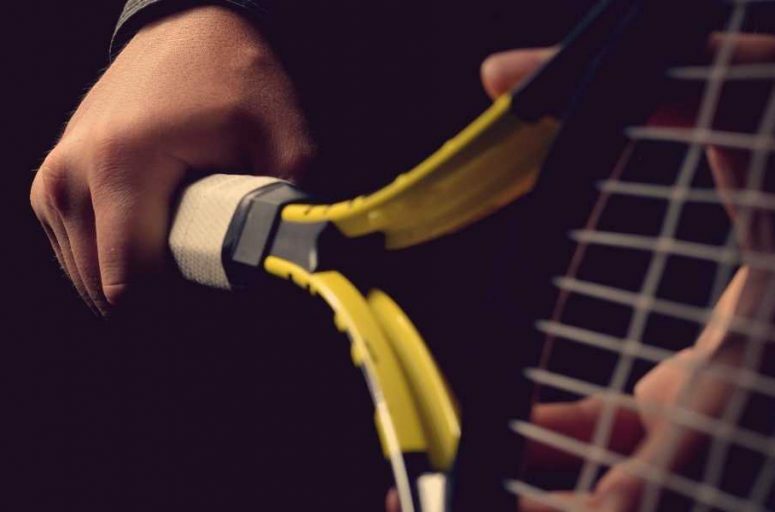 Take the racket in your playing hand and grip it like you would be shaking a hand. The base knuckle of your index finger should be placed on the first bevel. When you use the continental grip, it lets you perform quick volleys. The continental grip gets used when you want to make a quick return, but it’s nearly impossible to put a spin on the ball with that grip. After comparing all of the tennis rackets against each other and looking at things such as price, head size, grip size, colors, durability, and more, we were able to conclude what our choice for the best tennis racket is. While it is the most expensive on our list, we believe that the Babolat Pure Drive Rackets offer too much to ignore. The state of the art technologies, advanced studies, customer reviews, a broad range of sizes and solid brand reputation are only a few reasons why we believe that any tennis player, beginner or professional, we benefit from a racket like this. We do understand that the price of the Babolat Pure Drive Rackets is up there, so if you’re looking for a more affordable alternative, we suggest investing in the HEAD Ti S6 Tennis Racket. It has fantastic features, excellent sizing options, and is an all around suitable alternative to the Babolat.